Brit Awards 2008 - Show. Brit Awards 2008 - Show. Wallpaper and background images in the Paul McCartney club tagged: paul mccartney brit awards 2008 show england london earls court music award outstanding contribution sir paul mccartney. 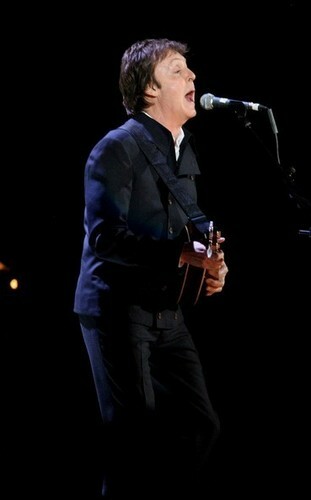 This Paul McCartney photo contains 음악회, 콘서트, 신사복, and 비즈니스 정장. There might also be 기타리스트, 기타 플레이어, 기타 연주자, 기타, 피아니스트, 반주자, accompanyist, 동행자, and 반 주자.